The rustic feel of this design is re-enforced by the shaded stone container that it is set in. 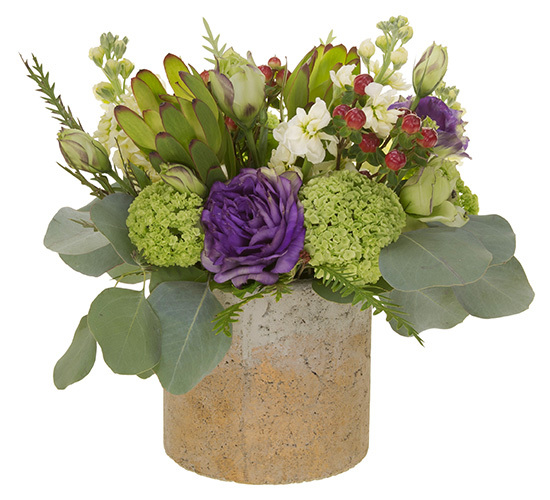 Inspired by nature this design by filled with an eclectic mix of flowers and greens. Approximate size: 11” h x 13”w. *Green Hydrangea or Green Ball Dianthus may be substituted for Viburnum when necessary. *For delivery within the Portland Area.